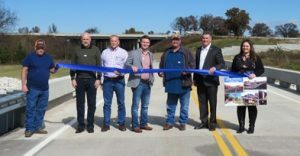 GUY Engineering, Creek County, and local legislators gathered on November 6, 2018 to celebrate the completion of Bridge #181A over Deep Fork Creek. 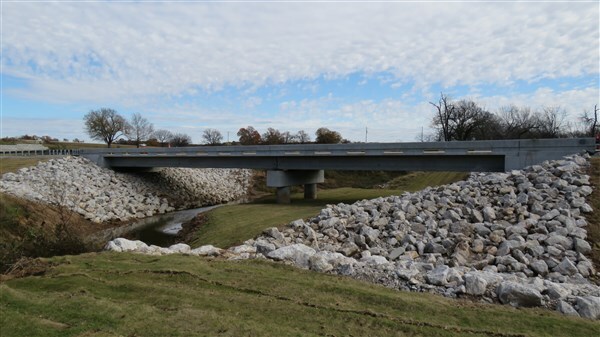 The new, safer bridge is located in Creek County District 3. The new bridge replaced a structurally obsolete and functionally deficient pony truss bridge that was built in 1920. The roadway was also realigned from SH-66 to the Turner Turnpike. The $1.6 million project was designed by Guy Engineering Services and constructed by Becco Contractors, both of Tulsa, OK. Funding was provided through the County Improvements for Roads and Bridges program (state funding).